Storefront Door Repair Service NYC you perhaps already know that the entrance to your store says many things about what is inside. If first impression counts, go with the skilled store front door repair NYC service provider. 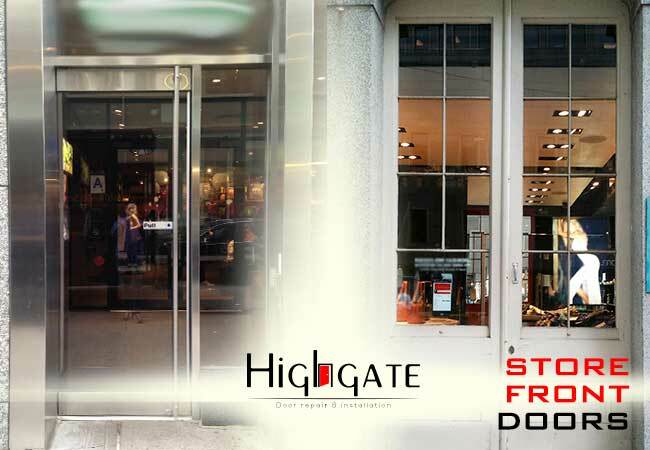 Highgate is a company that offers reliable and dependable store front door repair NYC to businesses, whether small or large. Clients will take ease in knowing we offer the best and most excellent store front door repair services all through New York area. 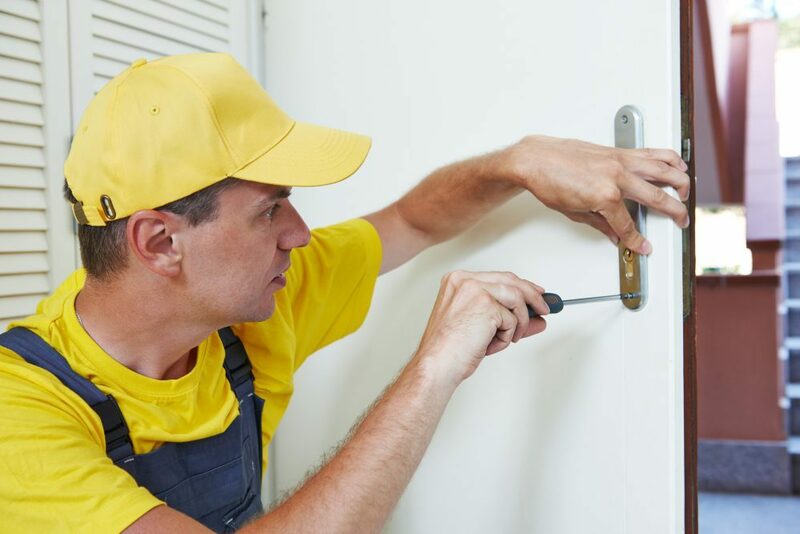 With our 24 hours and 7 days a week storefront door repair service, clients will feel pleased and contented and find Highgate Doors to be handy. We are expert in repairing storefront doors of any kind and model and offer a wide selection of door products. Clients will be satisfied with our surplus of designs and styles, from conventional to classic themes. When you are having concerns about your storefront front doors, we are the best and suitable storefront door repair service provider in NYC to call. We can handle the problem in the right way. Aside from first-rate store front door repair service, we also provide high quality customer service. Clients will feel at home and have their queries answered on time. Our team consists of professional individuals and skilled staff members. With an infinite amount of styles and designs to select from, clients will feel motivated to select us as their storefront door repair professionals. We also provide the best quality parts and doors and utilize state of the art technology to track each building plan. We handle each project from start to end so as to get a pleasing and satisfying result. Highgate has an array of top quality storefront door intended from the most excellent material. It doesn’t matter if you have an automatic door or fireproof door as we can handle it. You do not need to spend lots of money to utilize high quality storefront door repair services in NY. Our storefront door repair service provides professionals to replace all battered, store front door in a time-effective way. We value our clients and will take the time to give 100 percent customer satisfaction with assured results. Clients will never think as if we are speeding up the project as we ensure to utilize time management systems to get the most excellent results. No one can beat Highgate when it comes to storefront door repair. Our professionals will go to your place on time to assess the door and make notes on precisely what requires to be done. It doesn’t matter what type of repair service you want as Highgate is the one that can handle that issue. If you want to know more about our service, it just takes one phone call. The entrance of your store says so many things about your company or business. First impression counts. That is why you want a storefront door repair service provider with skill and real experience. Our repairmen have solved storefront door issues for many years now and we would love to help solve yours. So, who does Highgate work for? Small retail stores to a major and big chains. Whether you have a wooden door which needs to be fixed or sliding doors which require maintenance, Highgate can handle that all. 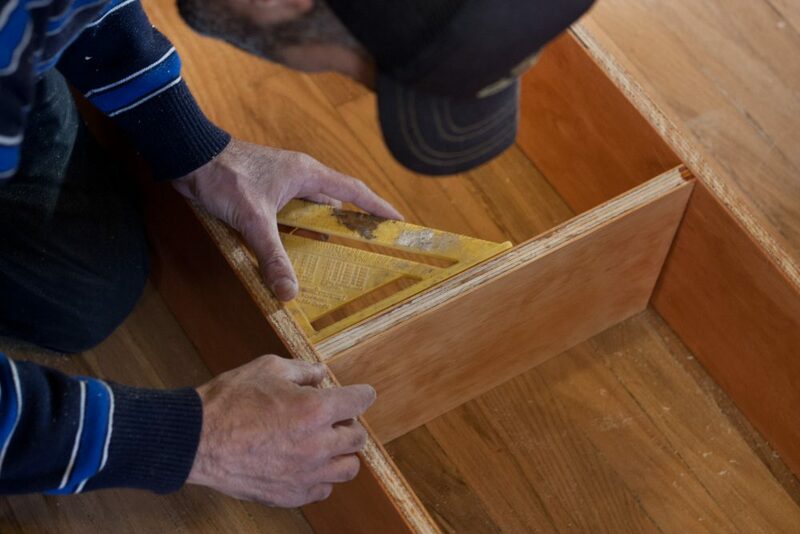 With our repair trucks filled with storefront door parts, we frequently get the task done right away, so this will help your store become operational again. 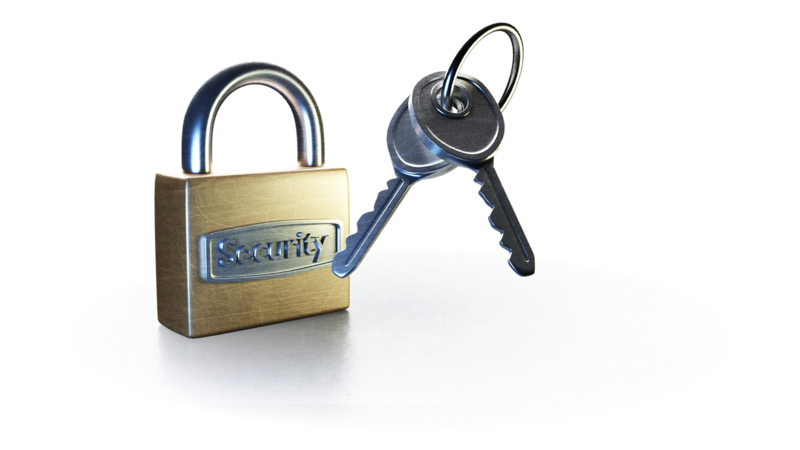 Each business or store owner wants the best security for his or her store. On the other hand, not each storefront door could give the safety you want. 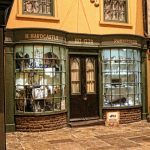 There’s always the chance that a brick thrown in your window may shatter the glass and let a burglar entry into your shop. So, it is highly suggested to have a solid and firm impact resistant storefront door. Our New York storefront door repair team provides our clients with the best in storefront door repair. We set up a solid-impact resistant door in any entrance of your New York business and give the best repair service. Our storefront door professionals could hand almost any task, regardless of how small or big the task might be. 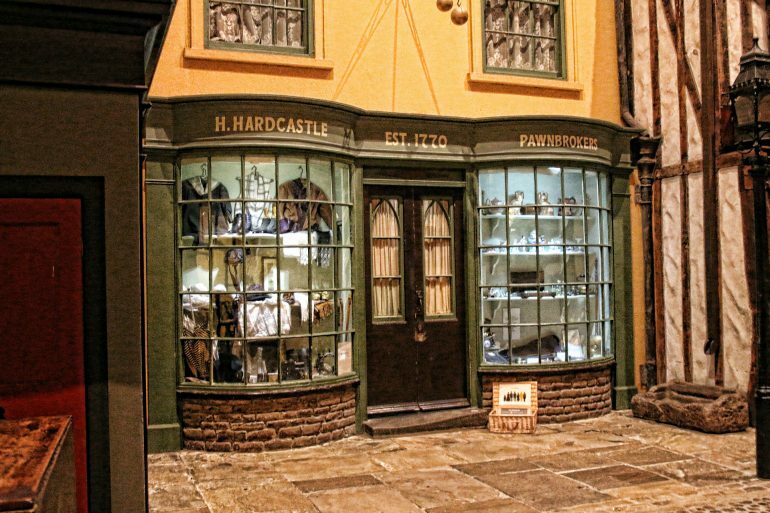 Highgate can assure you to have remarkable storefront doors and keep them in a superb working condition for a lot of years. Perhaps you already have an entry door setup. In which case, we do not need to do a new installation unless asked. 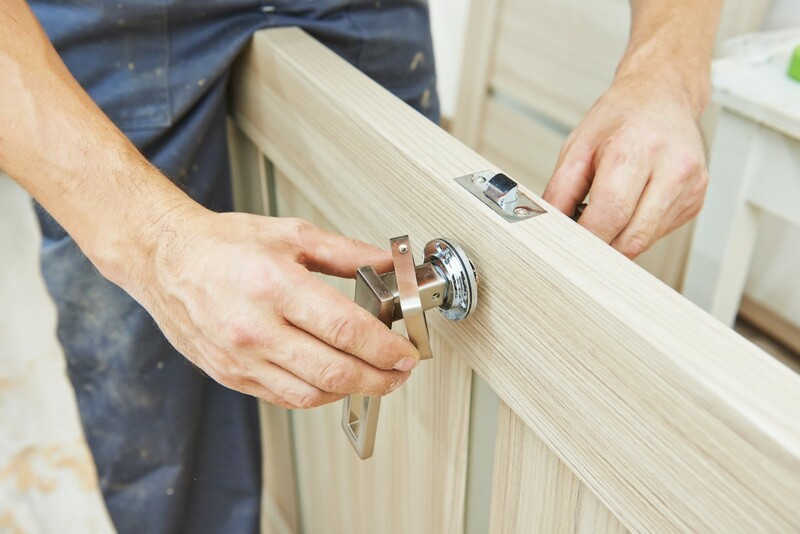 Instead, our team of professional repairmen can give fast and specialized storefront door hinges alignment service, door latch repair as well as wood door restoration. Highgate has an exclusive storefront door technician always available to provide assistance 24 hours a day and 7 days a week repair service. That is the power of our dedication to offering just the best storefront door services to our New York clients. You are assured that you’ll get the best storefront door repair service in New York City. Everybody loves to personalize items according to their particular needs and tastes and we totally agree. That is why we are very much proud to provide our clients steel, aluminum and wood storefront doors. Clients can style it for what it is made up of or to what it looks like and the whole thing in between. You tell us your design and we will do it. Also, you could get nifty choices of storefront doors from our wide inventory. We have lavish looking automatic storefront doors as well as eye catching aluminum storefront doors to select from. Most of the time, a good solid storefront entry door is just not enough to stop the criminals from getting in. That is the reason why our team of storefront door repair technician in New York provides storefront shutter gates. We make store front door repair a breeze and stress free for our New York clients. The door is the very first thing people see or notice. It is extremely essential to make a good and remarkable first impression, so we ensure to give various designs for our customers. Highgate offers up-front pricing for our services and products. Our friendly and fast service will leave a smile on our client’s face. We provide 24 hours and 7 days a week storefront door service. No matter what time of the day you need storefront repair service, rest assured that you can count on us. We are even available during holidays. With our excellent store front door repair service, companies will never need to worry about risking their profit through losing customers because of unattractive or broken storefront door. Our repair service will leave clients with long lasting impression for many years to come. You also do not need to guess or think how much our storefront door service will be as we offer upfront pricing. As all business, perhaps know that the door to their stores says more about what is inside. So, call the best storefront door repair service provider in New York City. 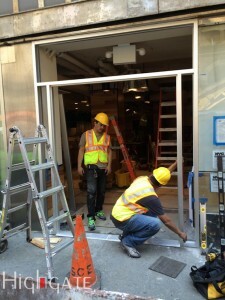 We specialize in repairing storefront doors for retail and commercial properties across New York City. Our team has many years of experience in residential and commercial storefront door repair business. This shows that when you get our service, you are getting the best service with knowledgeable staff. Aside from that, our door technicians are informed and updated with the current development on storefront door technology. We can also repair panic bars on your storefront door, exit alarm clocks, kick plates, door closers of any kind, levers, commercial knobs, cylinders, mortise locksets, key control systems, master key systems, hinges and all related door hardware, high quality key and lock systems to your storefront door. We can professionally service and repair aluminum storefront doors as well as aluminum storefront door hardware. Highgate stocks an extensive selection of storefront door hardware. Storefront full surface hinges, door pivots, gate hinges, store front door locks and door closers are all related hardware of the storefront door. When you are having door issues, contact us for fast and speedy service. We are the storefront door problem solvers. 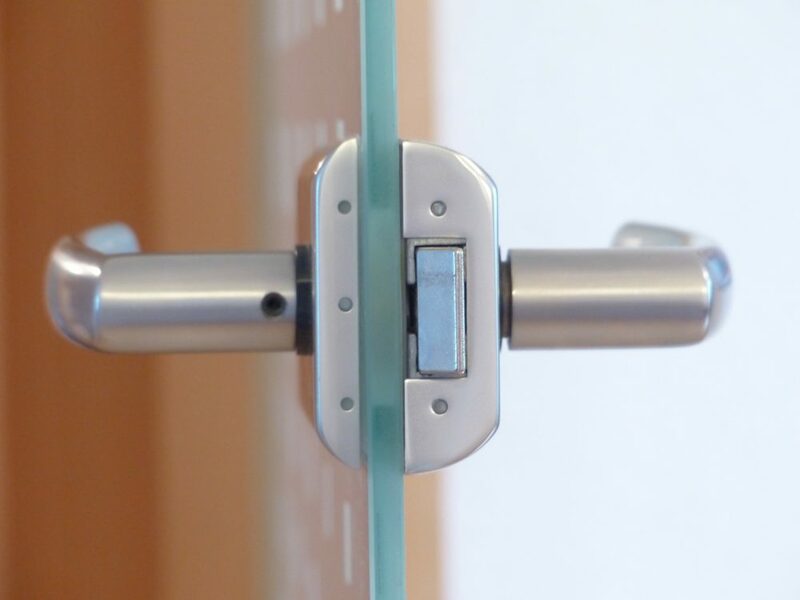 Highgate works closely with commercial property managers and owners to address all their storefront door issues, be it door lock or door hardware needs. We believe in spoiling our customers. Once our customers are used to our reliable and fast storefront door service, they will never go back to their previous service providers. 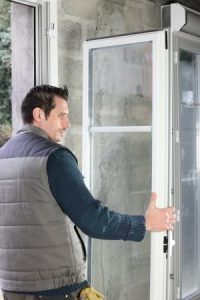 At Highgate, we have one objective and that is to ensure that our New York residents get the most excellent storefront doors and to do high standards store front door repair. Our professionals offer the best job at a very reasonable price. Contact us now and get amazing storefront door service from us. We make sure that all your needs are met. Top quality storefront door service is our main concern. Our service repair technician is well trained and dedicated to the utmost level of client service. From swing, revolving, folding and automatic slide to manual doors of all forms, Highgate offers the experience to meet our clients’ satisfaction. Do not take any risk. Choose the best and experienced store front door repair service provider in New York City. We would love to hear about your concern. For more information about our 24/7 repair services, please do not hesitate to call our company at (212) 860-5477. Your clients should not need to struggle with a badly operating storefront door. Contact Highgate now for help! We are just one phone call away!